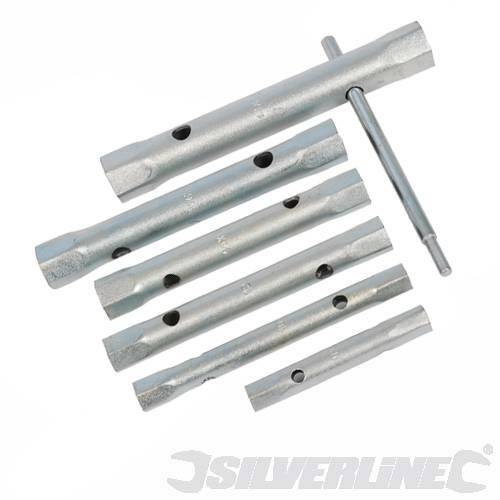 8pc box spanner set from Silverline Tools. 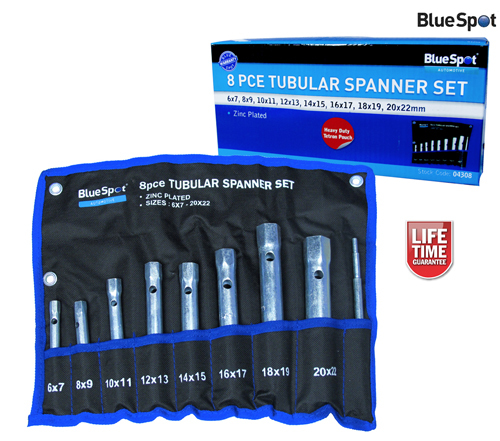 This box spanner set allows access to awkward nuts and bolts. 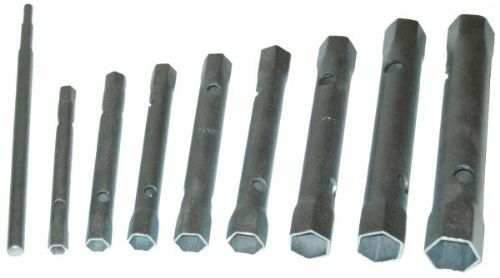 Sizes: 8/9mm, 12/13mm, 14/15mm, 17/19mm, 21/22mm (double ended), 10mm, 11mm, (single ended), 14mm spark plug spanner. Includes two tommy bars. 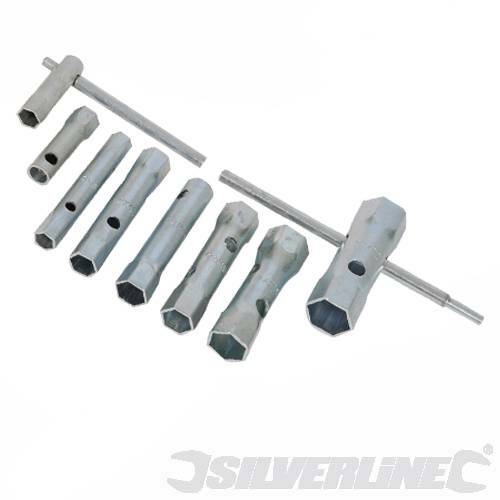 Lengths range from 50 - 85mm (approx). Ideal for automotive and plumbing tasks.